Use this fine quality leather baldric to complete many of your period outfits. The baldric is the leather strap that goes across your chest and lets your sword hang at your hip. This does not include the roman belt, which can be purchased separately. 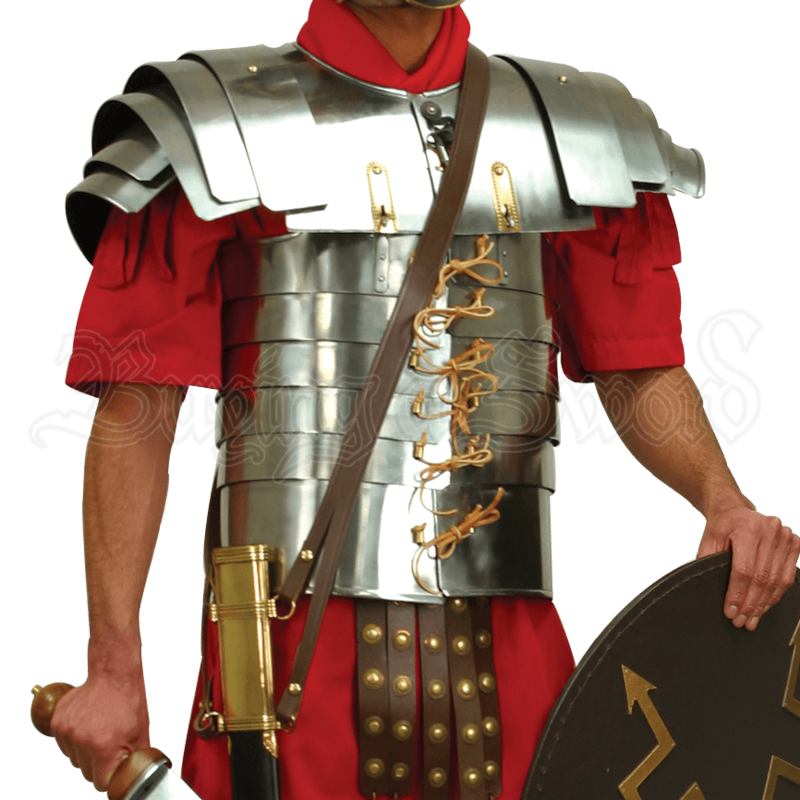 The Roman Baldric is meant to be used with typical Roman Swords that have four metal rings on the scabbards, like our Pompeii Gladius or Roman Gladius - Maintz Pattern Swords. Each end of the baldric has two loops that go through a ring on either side of the scabbard and then secure by chicago screws. There are a total of four leather loops to match up with the four metal rings on the scabbard. The sword is held upright at the waist. 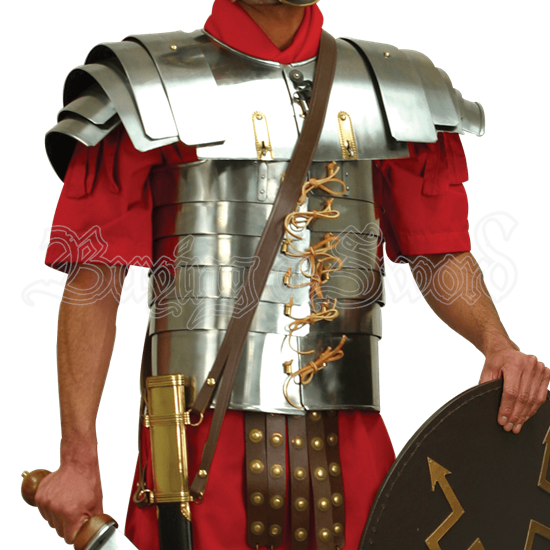 A great addition to any Roman Soldiers outfit. One size fits most (adjustable). Made the purchase for a church play. It worked well.